We got an announcement about the GSU Downtown Tailgate this morning. Hmm…we are thinking we might go. We thought we would share it with you in case you want to join in, too! The road to Allen E. Paulson Stadium goes through downtown on Friday, Oct. 29 as Georgia Southern University and the Downtown Statesboro Development Authority host a free “Downtown Tailgate” from 6-8 p.m. The spirit and excitement of Saturday’s Georgia Southern vs. Samford University football game will be captured in a Courthouse Square celebration for families, students and alumni that features live entertainment, food, games and prizes. Fans are invited to wear their True Blue colors and to join Wildlife Center Director Steve Hein and Freedom, GUS, and the Georgia Southern cheerleaders, along with vendors including Boyd’s BBQ, Brewster’s Ice Cream, and the Coffee Wagon. A soft drink tent will also be on site and guests are welcome to bring their own picnic dinners. A bouncy house for kids will be provided by Party Harbor and a drawing will be held to win an official Georgia Southern carved pumpkin and two general admission tickets to Saturday’s 2 p.m. Eagles vs. Samford game. Music will be provided by the local Southern rock and blues band “Two Left Feet” and there will be a preview of the Halloween “Thriller” dance. The evening culminates with a live broadcast of WTOC-TV’s “Georgia Southern Tailgatin’ Show” from 7:30 to 8 p.m. on the Courthouse lawn. A Downtown Tailgate celebration is also scheduled for Friday, Nov. 5, preceding the Georgia Southern vs. Appalachian State game. For more information call (912)764-7227. Harvest Moon, originally uploaded by jcgjr. Brian and Denny are working under the Super Harvest Moon in Atlanta, while learning more about impressive Home Theatres at the CEDIA EXPO. Speaking of this Harvestiest Harvest Moon, The Harvest Moon gets its name from agriculture. In the days before electric lights, farmers depended on bright moonlight to extend the workday beyond sunset. According to Nasa, it was the only way they could gather their ripening crops in time for market. 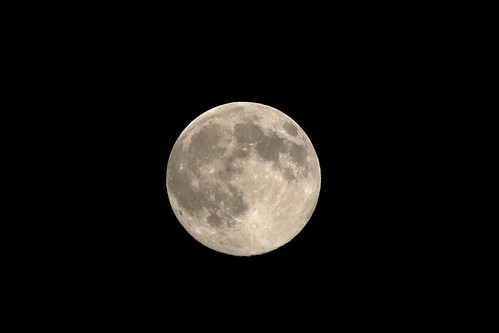 The full Moon closest to the autumnal equinox became “the Harvest Moon,” and it was always a welcome sight. So, at one time if you couldn’t see your crops you prayed for Harvest Moon. Now, if you can’t see your crops you get your lights fixed! We hope you saw the rare celestial fan fare last night, the midnight conjunction that made the Super Harvest Moon of this autumn so special. And, we hope our attendees to the Atlanta Audio Show bring back SUPER ideas and fresh products that we can share with you this season! P.S. The last great big glowy moon of this kind was in 1991 and then next one will be in 2029.
thanks for the youtube tunes beachbungalow8!